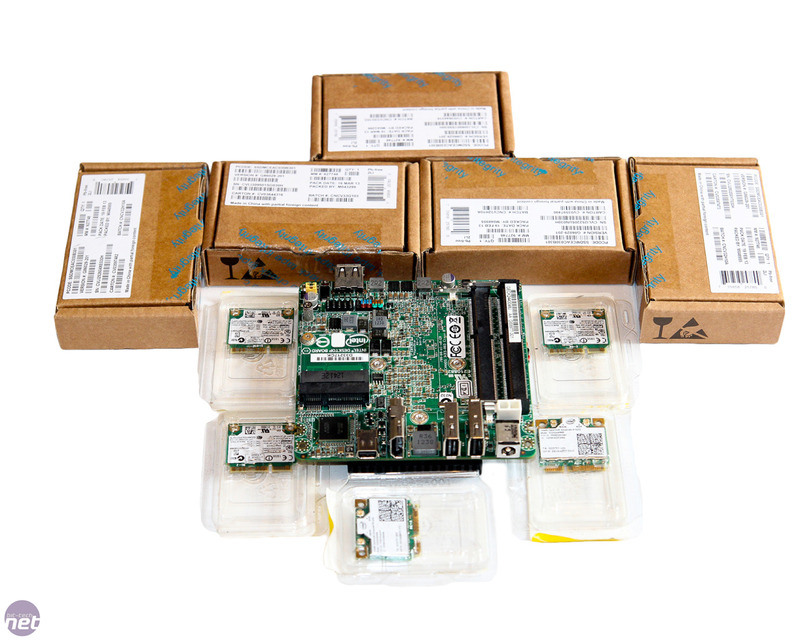 Fancy bagging one of five Intel NUC kits including an Intel NUC motherboard with embedded Core i3 CPU, RAM, Intel mSATA SSD and WiFi module worth £400? Well get your modding hat on and fish out the Dremel. We have something really exciting for all you scratchbuild modders out there, as today we announce our new Intel NUC modding competition! Next Unit of Computing (NUC) is a new Intel-designed ultra-small form factor that uses motherboards smaller than mini-ITX and embedded CPUs to create something that's perfect for mini PCs or HTPCs. Check out our Intel NUC review here. So, what bit-tech and Intel are asking you to do, is to design and build a case for the Core i3-based NUC D33217CK motherboard. In a slightly different schedule to our massively successful Raspberry Pi competition , there will be two stages this time. The design stage is open to everyone, where we need you to create a design to show us what your case will look like. 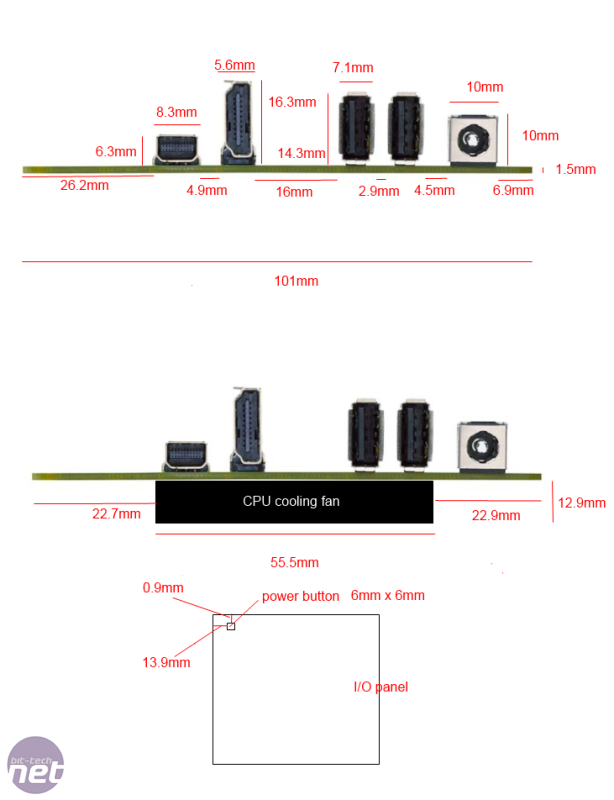 Then, Intel and bit-tech will choose five designs to go forward, with the chosen modders each receiving an Intel NUC board, RAM, an mSATA SSD and WiFi module to be able build a complete system. See below for the rules and how to enter. There is no minimum or maximum case size, but we're keen to see a case that really showcases the Intel NUC as the heart of a mini-PC or HTPC. You're initial design doesn't need to focus too much on precise dimensions. All ports must be accessible although you can use extension cables. 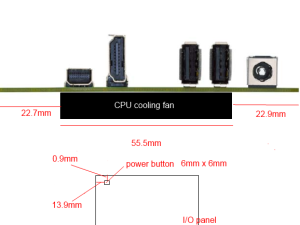 You need to include vents for cooling as the NUC has a fan and heatsink, but you can plan to remove these if you aim to create your own cooler. You must be able to take good-quality photos of your project - we're not looking for everyone to rush out and buy DSLRs and a photo booth but equally we need well-lit, in-focus shots of your project, especially final photos. If your design goes through to the second stage, you need to create a project log in our forum and post an update at least once every 3 weeks in the build phase. YOU GET TO KEEP THE HARDWARE so long as you complete the project in time. You have until 11:59pm (BST) on Sunday 14th July to submit your design to modding@bit-tech.net. Your email must include scans or photos of drawings or renders, a 50-100 word description of your case's design and features including materials you'll use, and also links to at least one of your previous modding projects (this can be a link to another forum or website). Once the five modders have received the hardware, we'll then set a deadline for the projects to be completed, which is likely to be in the region of 10 weeks. Download the Intel NUC D33217CK Product Brief including precise PCB and mounting hole dimensions here. See more precise dimensions by clicking on the image to the right. Intel will be looking for modders with at least one previous completed project to their name or evidence that they'll be able to make good on their designs. The final five projects will go to a community vote in our forum once the competition is over.